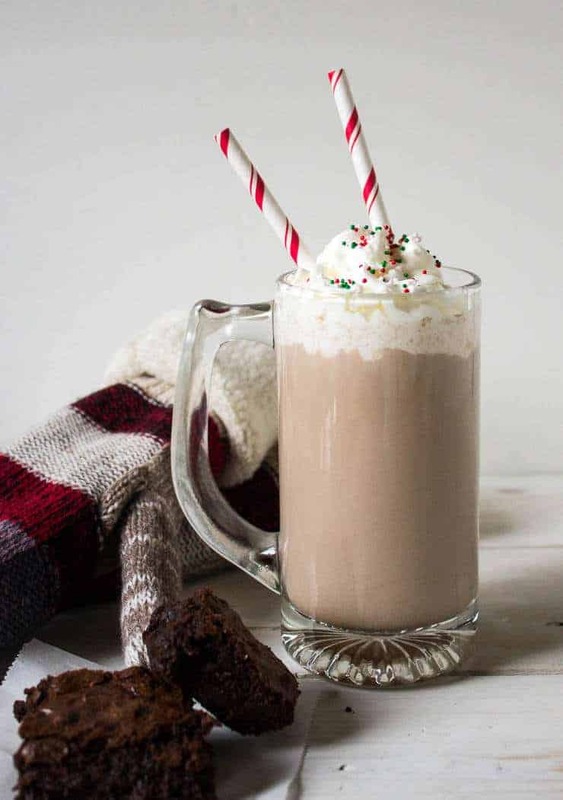 Homemade Hot Chocolate is so easy and Delicious to Make! We had a white Christmas! It was one of the most beautiful winter days that I remember in a long time. I know much of the country was in a heat wave, but we had four days of non-stop snow and then on Christmas day, the sun was out. The sky was a brilliant blue and the snow sparkled. During the winter we rarely see the sun…or if we do it’s just brief glimpses. Our days tend to be mostly gray. The snow does tend to off-set the lack of sun. 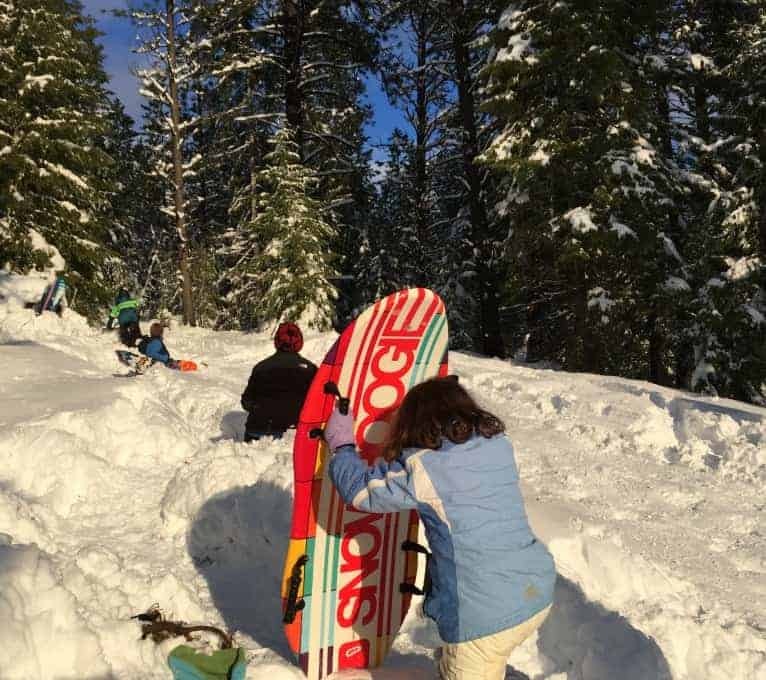 But to have fresh snow and sunshine… It was a glorious day and we spent the afternoon sledding at Grandma’s house! After a hard day of sledding, hot chocolate is just the ticket! And homemade hot chocolate is amazingly delicious! My kids prefer this hot chocolate over the instant powdered kind and often make themselves a cup. It really isn’t any more difficult than measuring out the powdered stuff. 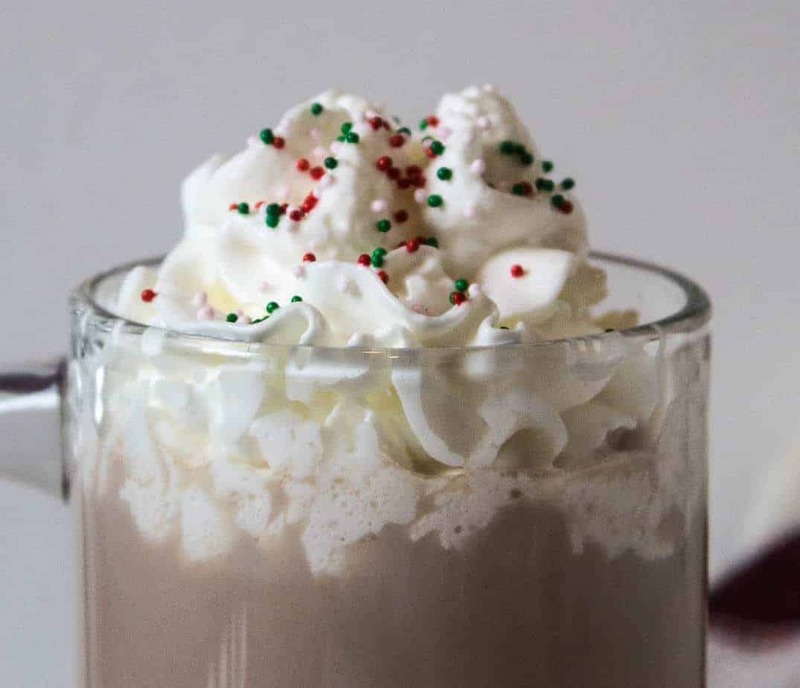 We did top this hot chocolate with whipped cream, sprinkles and peppermint sticks! Sometimes we do chocolate shavings on top too! Most days, it’s just plain or a few mini marshmallows. Special occasions get the full treatment! Recipe makes one cup of hot chocolate. Heat milk on the stove top or in a microwave. You want milk hot, but not scalded. In mug, add sugar and cocoa powder. 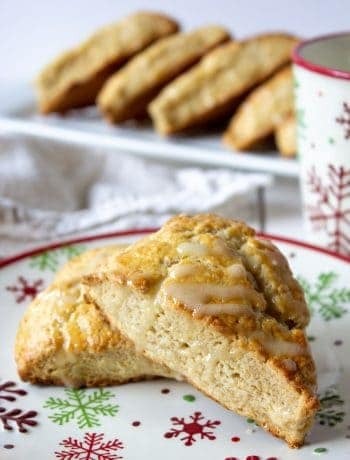 Mix in 1 Tablespoon of hot milk. Stir until all lumps are dissolved. Add your choice of whipped cream, mini marshmallows, shaved chocolate or enjoy plain. Recipe can be doubled. Simply heat 2 cups of milk. Mix cocoa and sugar in individual mugs. 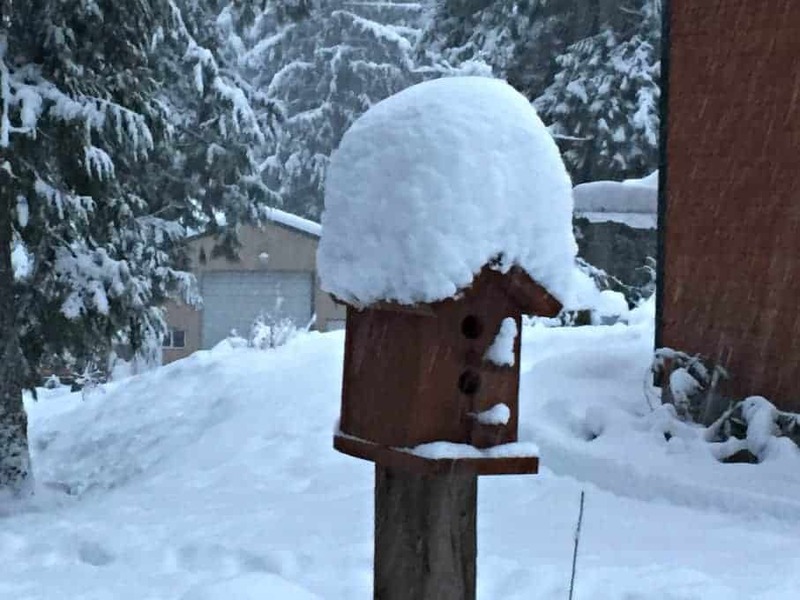 The birdhouse below was during the first day of the big snow storm. We received more than two feet of snow. So pretty, but lots of shoveling. I understand…and all that snow stays around forever. A cup of hot chocolate will chase away the blues! Your Christmas day sounds absolutely beautiful. I would have loved a little more snow here, but the last three or four Christmases have had a ton. You’ve definitely made me in the mood for hot chocolate. I love when it’s homemade. Looks great! Snow and hot chocolate – that’s a definition of a perfect winter day! Your hot chocolate looks delicious! Hot chocolate and just about anything seems to go! Hot chocolate AND snow – I’m so jealous! This looks like the best holidays ever! It was a great holiday! Thanks! What a fabulous Christmas afternoon and then to come in to this mugful of deliciousness! WOW! So happy you had such a great day with sunshine and snow, Kathy. Wonderful family memories and I loved seeing all the festive pictures. We got our first snow last night but it is turning into ice presently. Bleh! Ugh….there’s nothing worse than ice. It makes it impossible to walk, drive or just about anything. That snow is beautiful! I miss snow, especially at Christmas! 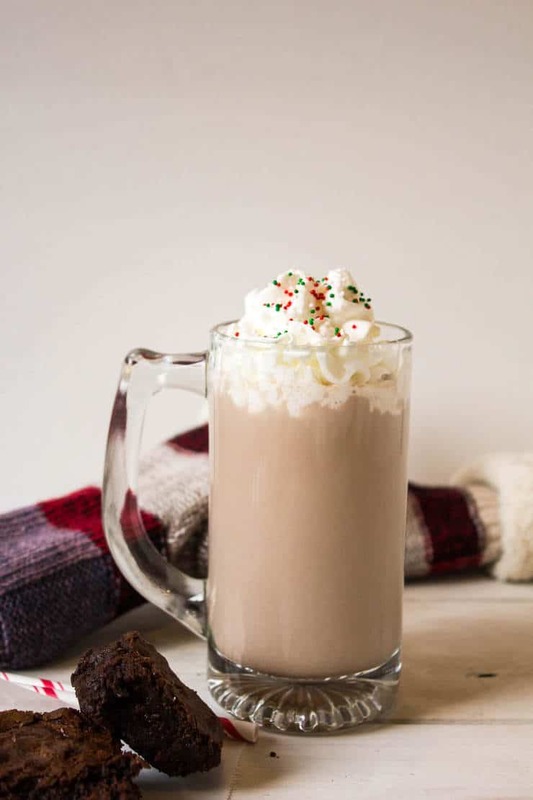 Hot chocolate is the perfect thing after coming in from a few hours of sledding, and I love the chocolate shavings and peppermint sticks you added to make it extra festive! Crazy weather! Hope you get some cooler temps and some snow! Happy New Year! Wow, you guys did indeed get some serious snow! (But serious snow means serious shoveling, too.) 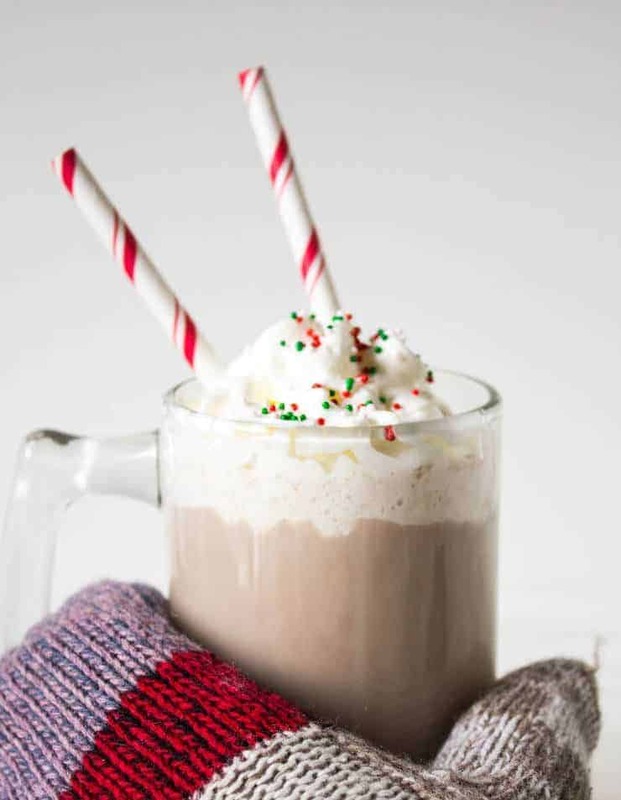 And it doesn’t matter whether you are sledding or shoveling, the perfect cure is always hot chocolate. This looks delicious! Glad you guys finally got some snow…we got 1-2″ last night which was our first of the year. Crazy! This winter seems to be unusual for many. Happy shoveling! Love homemade hot chocolate! This looks delicious! Looks like you had a gorgeous and fun filled Christmas! It was hot and muggy here in NC. 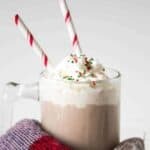 🙁 This home made hot chocolate sounds fabulous, my dear! Why use the store bought powdered crap when you can have this?!? SO yum! Cheers and warm wishes for a beautiful new year! Warm weather I can handle. Muggy…ugh! I had no idea it was this easy to make your own Hot Cocoa! Honestly, the fake, phony ingredients in the packaged kind is not for me! Thanks for sharing. Now that we have finally have snow, it’s time for hot chocolate. 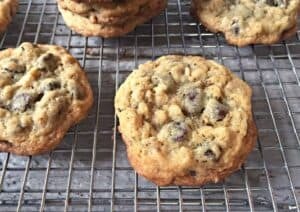 Love the chocolate shred on top, will have to have those!!! Downing this with a piece of sponge candy is my kind of day. And if you haven’t had sponge candy……google it. Best stuff on earth!!!!! But it’s a Buffalo thing. To make the chocolate swirls, just take a chocolate bar and a potato peeler. “Peel” along the edge and these cute swirls appear! Enjoy! How exciting that you have snow! These pictures look amazing! I thought oh, this is going to be ingredients that I don’t have, but…you came through again. 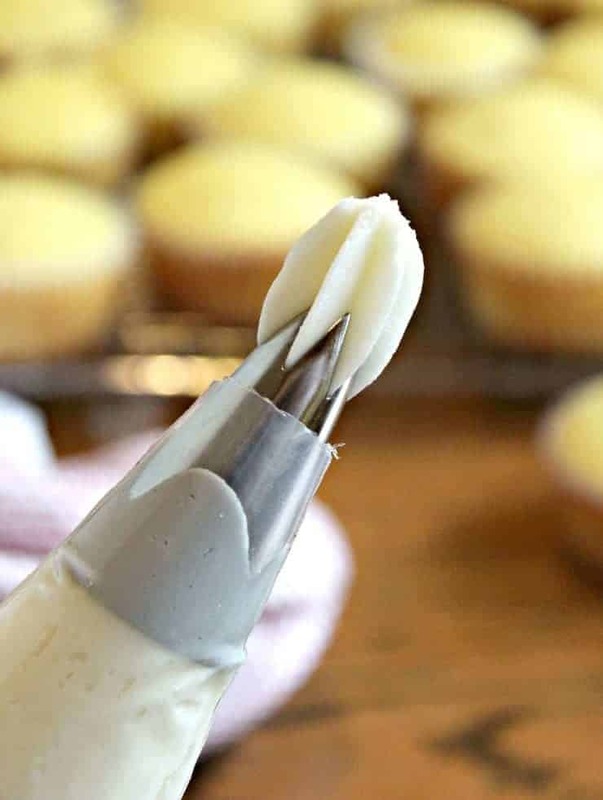 Thanks for this simple recipe! Thanks, Lori! 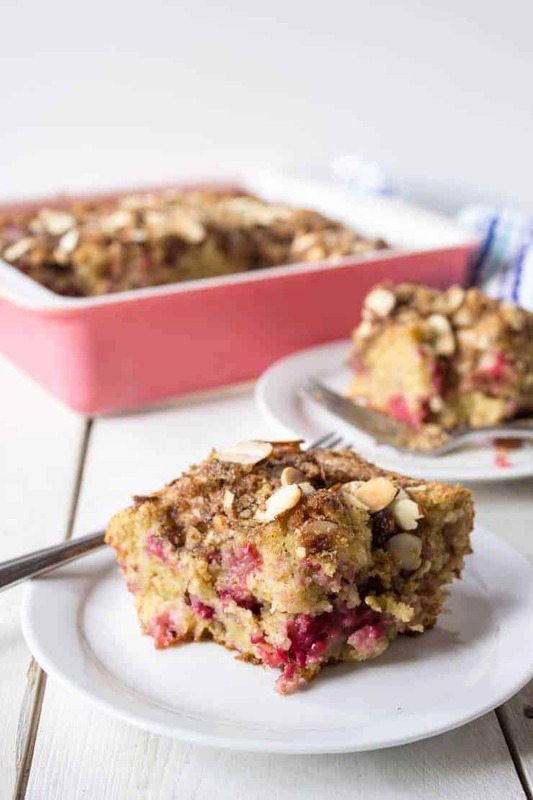 Very simple and very yummy! I’m so jealous you guys got a white Christmas! It looks absolutely gorgeous. Oh my goodness! All that snow is gorgeous! I didn’t realize that anyone had a white Christmas this year. It’s been hot, humid, and rainy in NC. 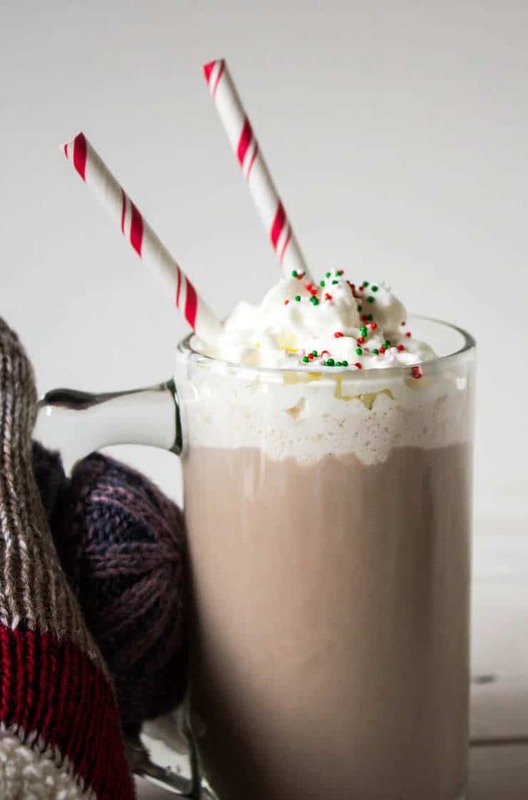 This homemade hot chocolate is the perfect end to a day of sledding! Hot, humid and rainy does not sound like fun… I’ll keep the snow…for now!